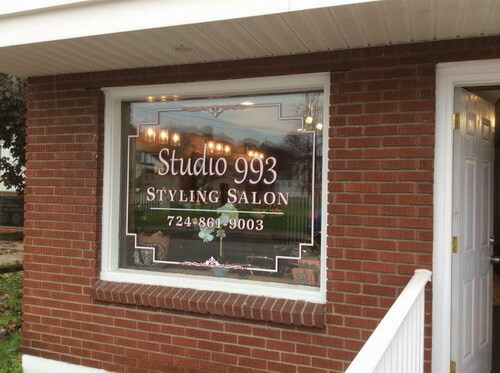 Studio 993 Styling Salon is a Full Service Salon for Women, Men, Teens and Children. And with over 20 years experience in the business, owner Anne Dreistandt is well respected in the Salon Community. Anne has recently relocated from Manor to Penn Pa, and customers just love the new shop! Anne is excited to continue providing her services to both regular and new patrons in the surrounding areas. As a special promotion, Studio 993 Styling Salon will be giving away a gift certificates each month for a FREE Men's or Women's Haircut. Why? Because Anne knows once you experience the quality service at Studio 993 Styling Salon, you will come back time and time again! Gift Certificate to Studio 993 Styling Salon !!! YOU MUST BE 18 YEARS OF AGE OR OLDER TO ENTER! !